Outlander - TV Guide Cover. . HD Wallpaper and background images in the serial tv outlander 2014 club tagged: photo outlander tv guide cover. 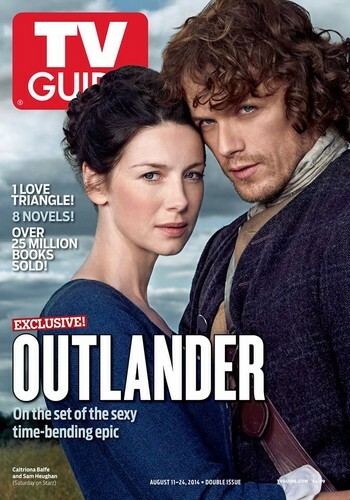 This serial tv outlander 2014 photo contains anime, komik, manga, and kartun. There might also be koran, kertas, majalah, tabloid, kain, rag, tanda, poster, teks, papan tulis, potret, headshot, and closeup.